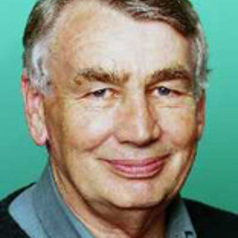 Professor Brian Howe is a Professorial Associate in the Centre for Public Policy. He chaired the 2012 Independent Inquiry into Insecure Work, established by the ACTU. He was Deputy Prime Minister of Australia (1991-95), a member of the Federal Cabinet (1984-96) and held a range of Ministerial portfolios in the fields of Defence, Social Security, Health, Housing and Community Services. His administration of these portfolios was distinguished by a number of major policy initiatives in Social Security reform of family payments and the introduction of Child Support, in Health the National Mental Health Strategy and the Commonwealth Dental Scheme. He was also responsible for important Commonwealth State initiatives such as the Commonwealth State Disability Agreement and the Building Better Cities program. He teaches in the Centre's postgraduate program, has worked on several ARC funded research projects, is writing a series of monographs on Australian religious leaders and is completing a short book summarizing the Centres work on reinventing social policy.